Sriram Vanchinathan is BPRISE's new Vice President of Sales (India). 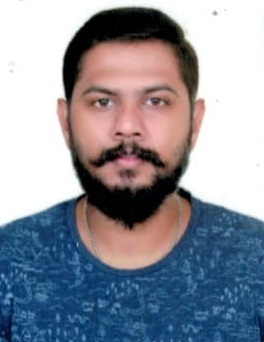 MUMBAI, India - Aug. 14, 2018 - PRLog -- BPRISE is happy to announce and welcome Sriram Vanchinathan as Vice President of Sales (India). In this newly created role, Sriram will develop the company's business across the country and construct tailored solutions for customers. He will report to Sandeep Kuriakose, BPRISE's founder and CEO. Sriram obtained his master's degree in Foreign Trade from Pondicherry University. His passion for bringing about an impact has been prominent right from the beginning of his professional career. Sriram has over fifteen years' experience in digital advertising. Before joining BPRISE, Sriram had been Country Manager at AdVoice with the aim of providing mobile ad solutions in India. "Everything from its vision to its product made me want to be a part of this company", says Sriram Vanchinathan, Vice President (Sales) of BPRISE. "Our country has immense potential when it comes to benefiting from technologies that are so considerate of digital marketers' needs. And to have a tech startup develop such a fresh, new and all-encompassing marketing solution presents an important development in the country and I am very pleased to be able to share this message with brands and businesses alike. BPRISE is backed by tech enthusiasts and is in position to offer a massive marketing solution with USPs that'll blend right in with the evolving market."